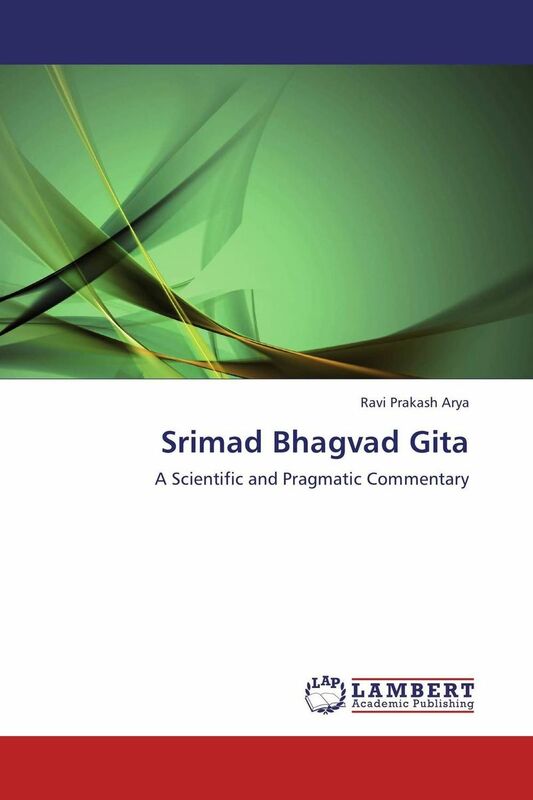 The present translation depicts the scientific and pragmatic aspect of Srimad Bhagvad Gita keeping its spiritual, ethical and philosophical aspect intact without giving any religious colouring which is not at all intended by its narrator, author or script writer. It has been attempted that the basic tenets of Srimad Bhagvad Gita are presented in the most modern suitable terms both for learned and laity. There are several technical terms in Bhagvad Gita which don’t have their correspondence either in English or other languages of the world. Such terms have been used as it is. The philosophical concepts like the concept of life, death, rebirth etc. have been elaborated scientifically for the benefit of our readers. Hope the learned readers will find this compendium of Vedic philosophy and science most interesting and useful to determine the future curse of their life to reach their cherished goal on material and spiritual plane.